There are currently 3,755 users on this website. 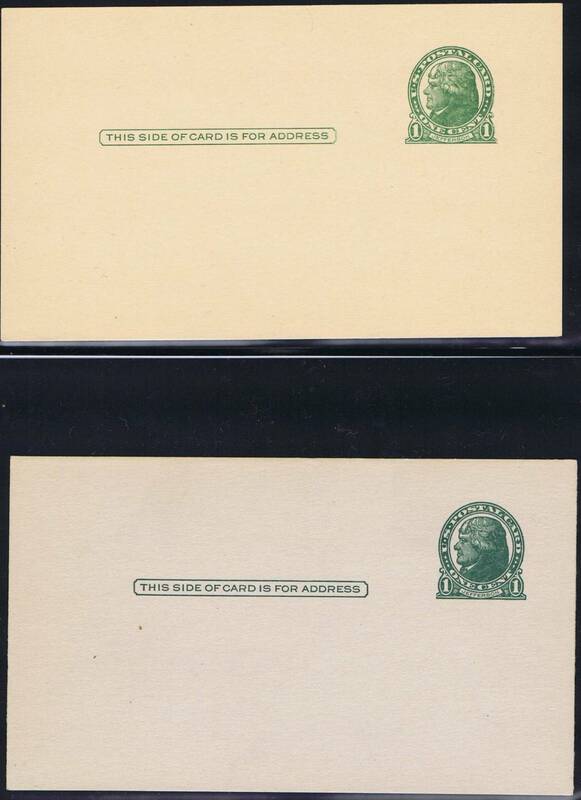 The card with the revalue is UX41 and issued in 1952. 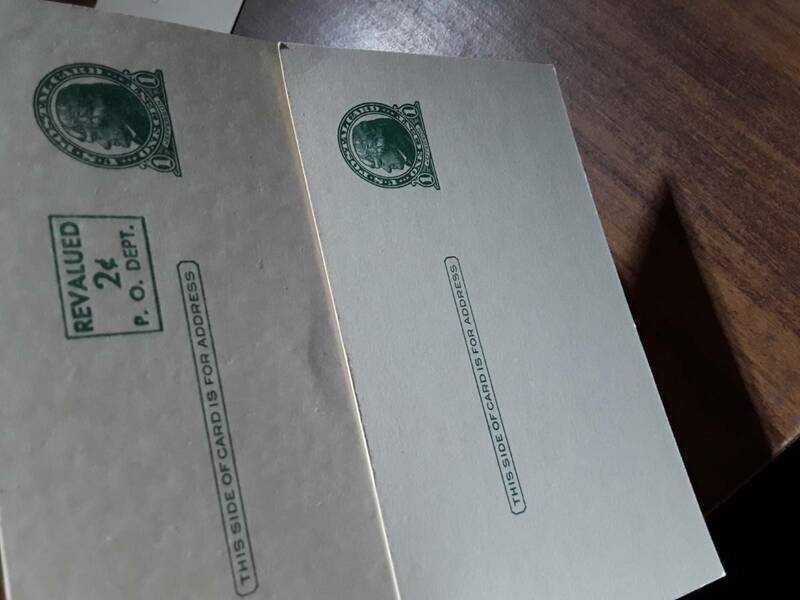 The issue of 1916, The Emergency Paper cards, UX27C and UX27D, were printed on both smooth and rough textured, grayish white in color (sometimes called bluish green) paper. They were issued on December 22, 1916 and sold in full sheets of 48 (4x12) to printers until February 13, 1917. UX41 was press overprinted. So there couldn't have been any favor revalues. To further confuse the issue, UX27, a very long lived issue, was printed on a wide variety of paper ranging from white through multiple shades of buff into cream and canary. 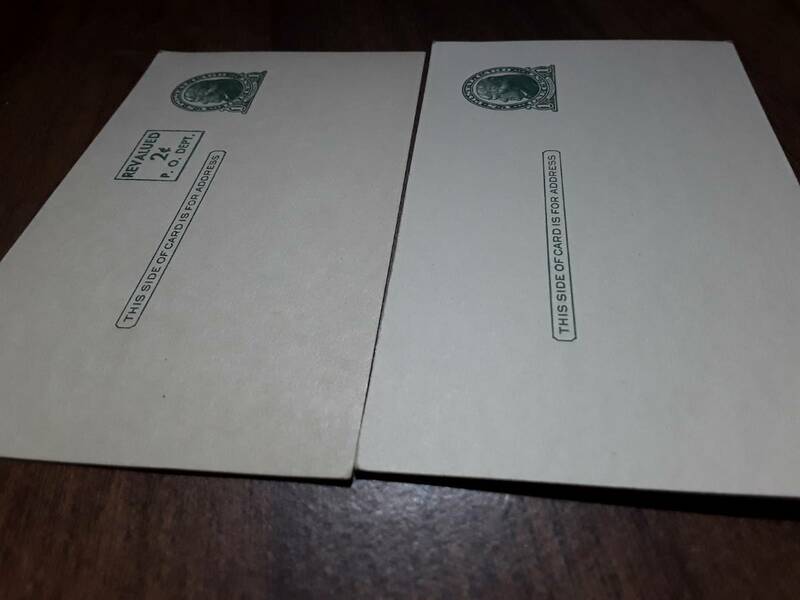 The white cards are occasionally confused with the emergency paper cards, especially when soiled or toned. 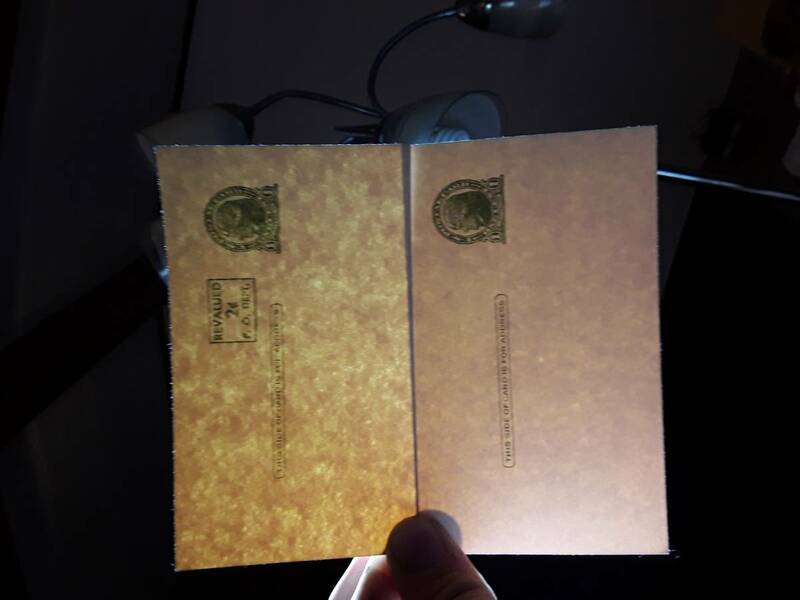 Regular card stock is also known deliberately tinted to resemble the emergency paper. Expanded details are available in the UPSS Postal Card Catalog.